My self-education in historical architectural photography is now quite stalled in the realm of the photogravure, and I just can’t see enough tonal prints of old buildings, preferably but not necessarily of the New England variety. There is a slim volume titled Under Colonial Roofs by Alvin Lincoln Jones with forty stunning photogravures from negatives by Charles Webster that I keep by my bedside but I like the Internet Archive copy even better because it is annotated by a snarky little anonymous note facing the title page: the first good photographic study of New England’s historic houses was Alvin Lincoln Jones’ Under Colonial Roofs which appeared in 1894. The pictures, which are of a high quality, show us many buildings that have since disappeared. The picture of the Paul Revere House, when compared to a modern view, gives us some idea of how drastic the 1907 restoration must have been. Jones’ picture leads me to conclude that it is very easy to over-restore a building. 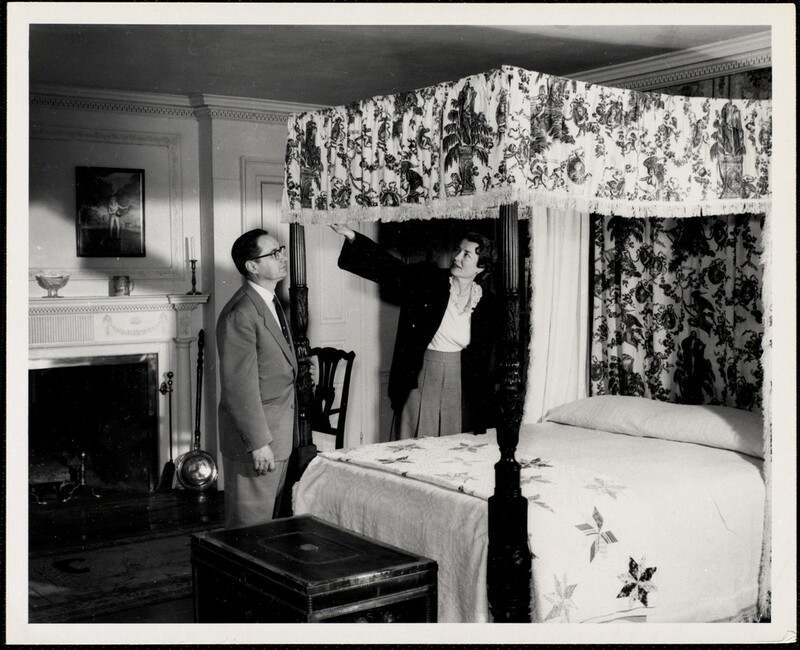 I wonder what he/she thought of the coincidental restoration of the House of the Seven Gables! 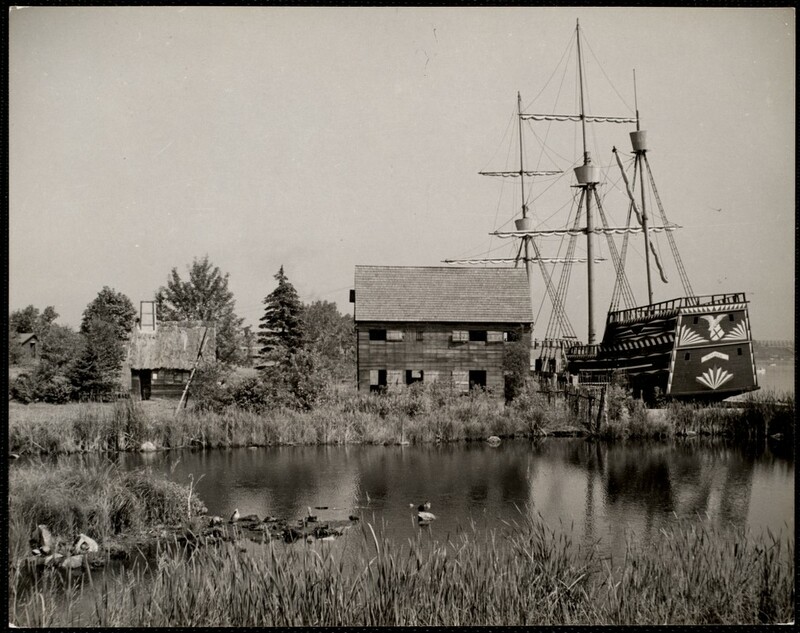 The 1894 version of the Paul Revere house is in fact very revealing, as is that of the Wells-Adams House, also in the North End, which would come down in the very same year that Under Colonial Roofs was published. 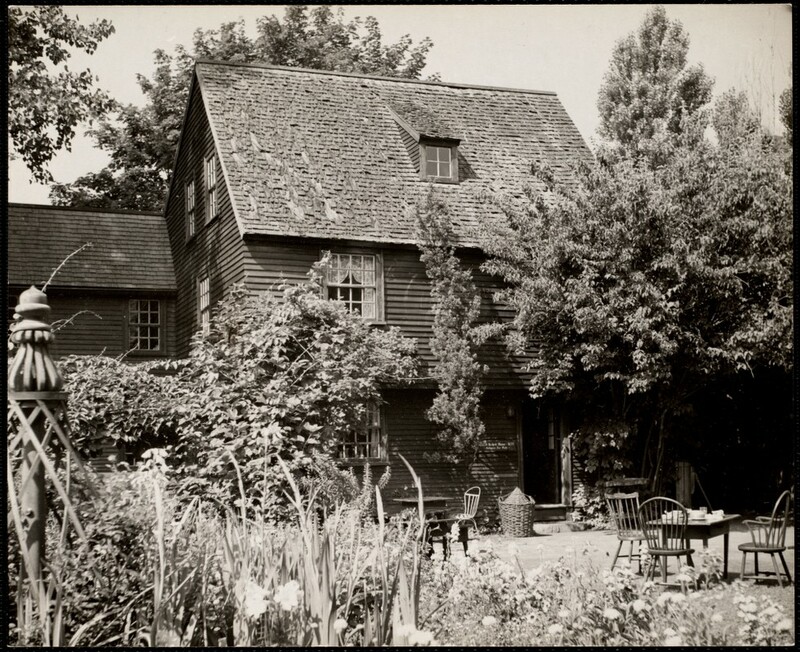 Jones showcases only two Salem houses, a very un-restored Corwin/Witch House, which he calls the Roger William House as it is several years before Sidney Perley disproved that connection, and the Pickering House, which looks then pretty much like it looks now. There are so many more I wish he had included! 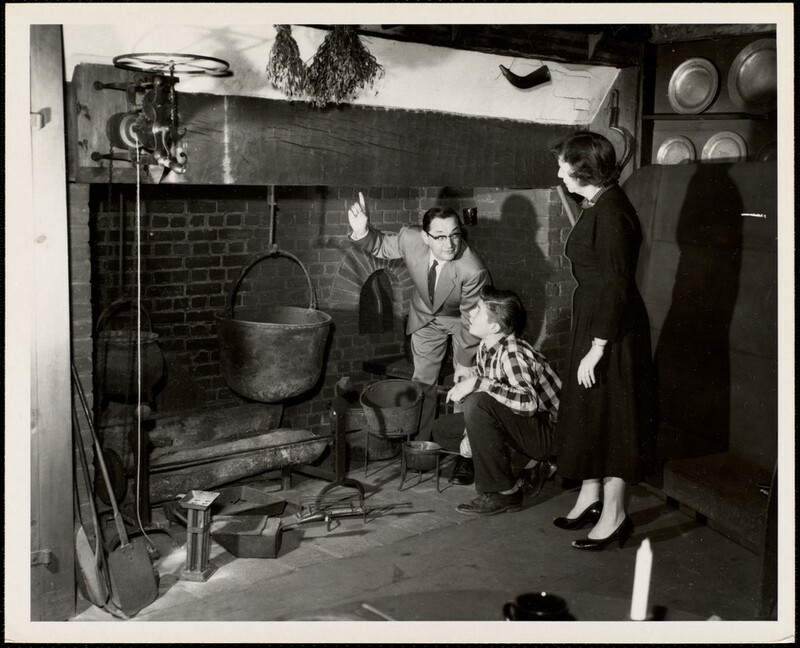 But images of Salem’s “ancient” houses were being dispersed far and wide by Frank Cousins in the 1890s, so I can understand his sparing coverage. There are lots of Essex County houses in the volume: I was particularly drawn to the Cobbett House on East Street in Ipswich, which appears to be no longer with us, the striking image of the Whipple House (again–in its un-Colonial-revivalized state) and the Peaslee Garrison House up in Haverhill, which looks like it could have been built in East Anglia. 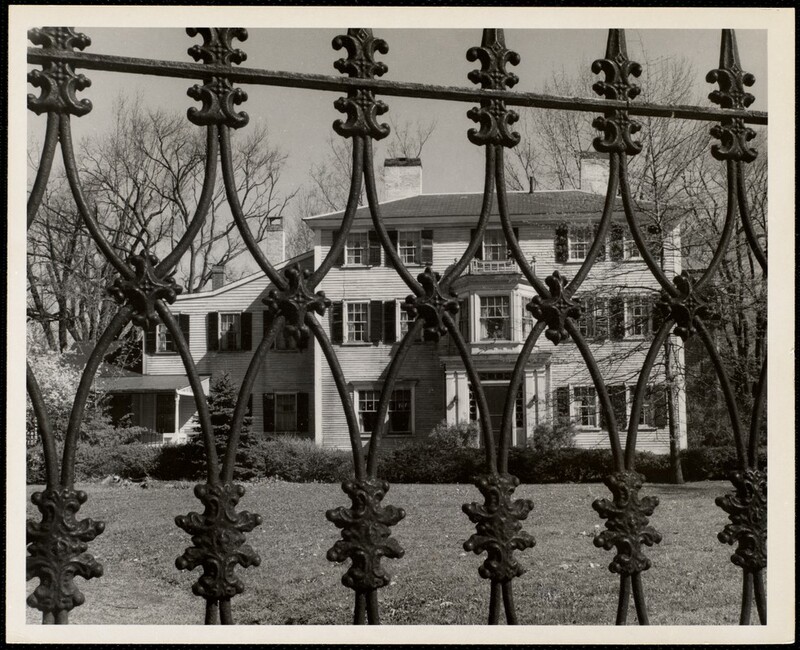 Jones takes us to all of the usual houses in Lexington, Concord and Duxbury, but does not venture onto the Cape or “out west”. Perhaps the anonymous note-inserter is correct: there is something about the untouched, organic images of two houses that I am familiar with—the Abbot house in Andover and the Peter Tufts House in Medford (which Jones calls the “Cradock House”) that are so very revealing, even more than the photographic technique. These houses would survive the twentieth century: not so the Barker House in Pembroke, then boarded-up, overgrown and abandoned. I often get asked if I’m ever going to write a book about Salem—and I always feel like the subtext of the question is or are you just going to keep dabbling on your blog? I always say no, as I’m not really interested in producing any sort of popular history about Salem and I’m not a trained American historian. I have a few academic projects I’m working on now and at the same time I like to indulge my curiosity about the environment in which I live, because, frankly, most of the books that do get published on Salem’s history tend to tell the same story time and time again. First Period architecture is the one topic that tempts me to go deeper: not architectural history per se (again, another field in which I am not trained), but more the social and cultural history of Salem’s seventeenth-century structures—especially those that survived into the nineteenth and twentieth centuries. How do they change over time? Why do some get preserved and others demolished? What was their perceived value, at any given time? Why do some houses get turned into memorials/museums/”monuments” and others disappear, forever forgotten? And (here’s the blogging angle): why are some of these structures preserved for posterity in photographic and artistic form and others not? This is a rather long-winded contextual introduction to my focus today: the wonderful house renderings of the Anglo-American artist Edwin Whitefield (1816-1892). Whitefield was an extremely prolific painter of landscapes and streetscapes, flora and fauna, and I’m mentioned him here several times before, but I recently acquired my own copy of one of his Homes of our Forefathers volumes, and now I need to wax poetic. I just love his pencil-and-paint First Period houses: they are detailed yet impressionistic, simple yet structural, and completely charming. I can’t get enough of them. There are five Homes of our Forefathers volumes, published between 1879 and 1889, covering all of New England and a bit of Old England as well: Boston and Massachusetts are intensively covered in several volumes. Whitefield clearly saw himself as a visual recorder of these buildings and was recognized as such at the time (a time when many of these structures were doubtless threatened): An 1889 Boston Journal review of his houses remarked that “We cannot easily exaggerate the service which Mr. Whitefield has rendered in preserving them”. Even though the title pages advertised “original drawings made on the spot”, implying immediate impressions, Whitefield put considerable research and detail in his drawings, intentionally removing modern alterations and additions so that they were indeed the homes of our forefathers. His process and intent are key to understanding why Whitefield includes some structures in his volumes and omits others. 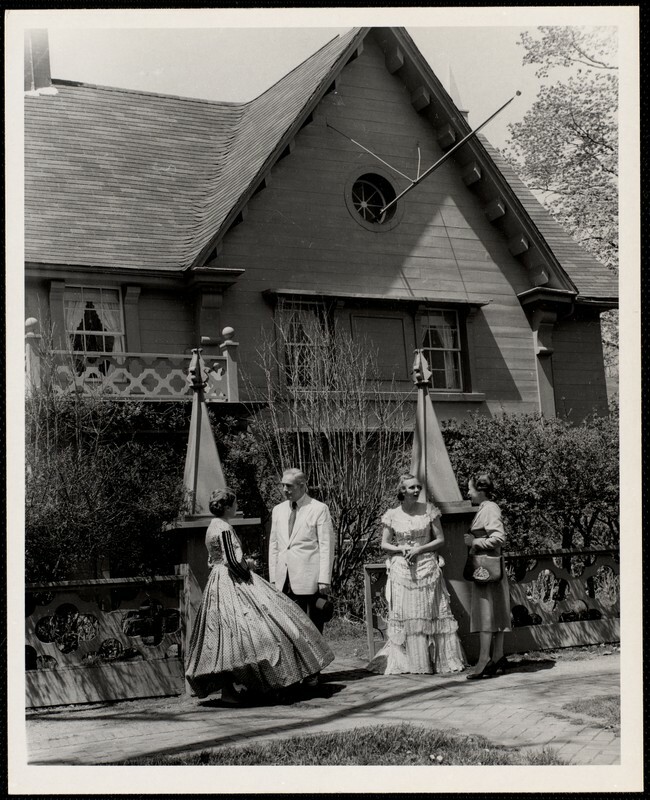 He includes only two little-known Salem structures in Homes: the Palmer House, which stood on High Street Court, and the Prince House, which was situated on the Common, near the intersection of Washington Square South, East and Forrester Street. 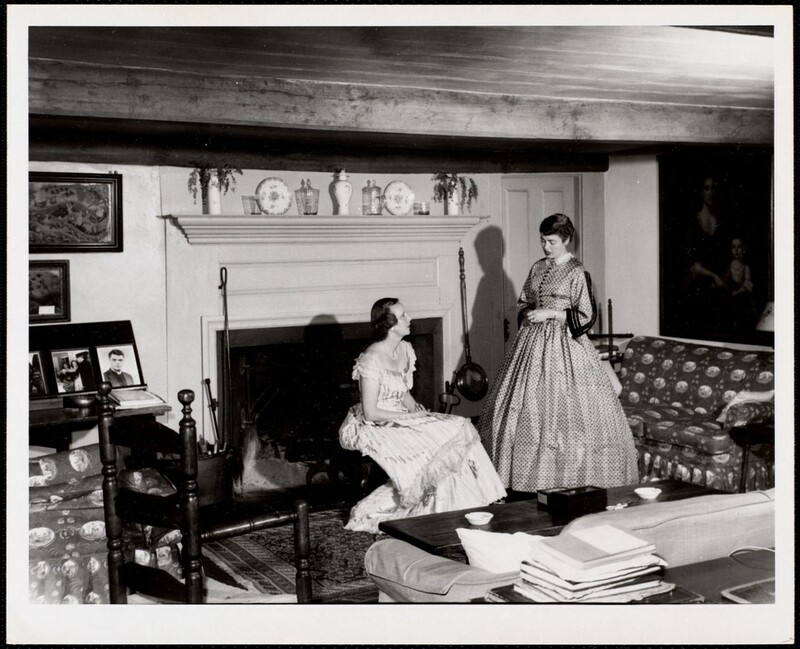 There were so many other First Period houses in Salem that he could have included–Pickering, Shattuck, Ruck, Gedney, Narbonne, Corwin, Turner-Ingersoll–but instead he chose two houses which were much more obscure, thus rescuing them from perpetual obscurity. Already-famous First Period houses in Salem, either because of their Hawthorne, witchcraft, or Revolutionary associations: the Turner-Ingersoll house before it was transformed into the House of the Seven Gables, Hawthorne’s birthplace in its original situation, the Shattuck House on Essex Street, a sketch of the Corwin “Witch House” and the Pickering House. 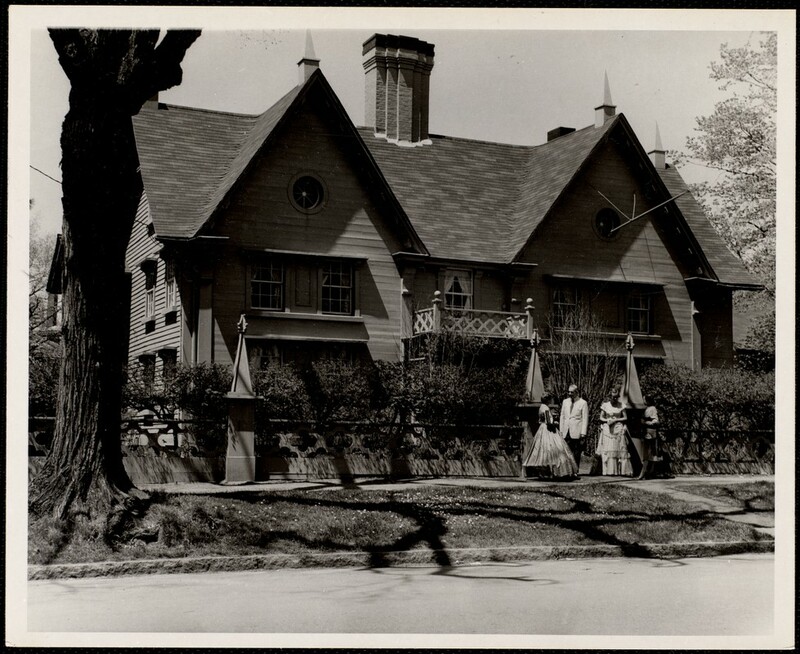 Whitefield’s single postcard of the Witch House in its original incarnation (it was then thought to be the residence of Roger Williams, an association that was later disproven by Sidney Perley). The Palmer and Prince houses are mentioned in the Pickering Genealogy (Palmer) and Perley’s Essex Antiquarian articles, and apparently there’s a photograph of the former deep in the archives of the Phillips Library, but without Whitefield’s sketches they wouldn’t exist. He was drawn to them, I think, by both their age and their vulnerability: both would be torn down, with little notice, in the same decade that his sketches were published.